After four years of production, the 2019 Lincoln MKC gets an update. The original version of this compact crossover came in 2014 and it is the smallest SUV in the brand’s lineup. Still, it will be the first one to borrow Navigator’s newest design language. This update includes numerous changes, but the most important, naturally, are those visual. Besides them, this crossover will also get few updates on the inside. However, we are not going to see changes under the hood and in terms of mechanics. 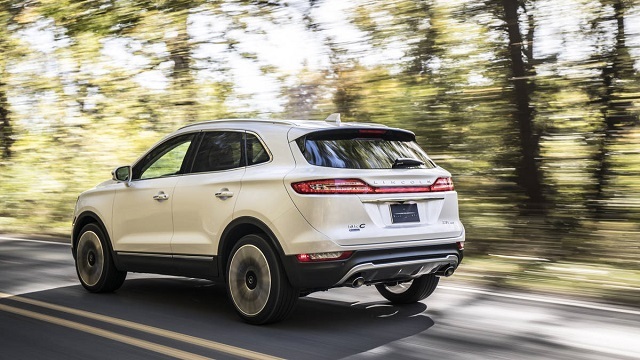 In this aspect, 2019 MKC will continue without bigger changes, featuring same chassis, as well as same two four-cylinder engines in the offer. The new version has been presented already, and we are expecting it to hit the market pretty soon. Still, a more precise date is yet to come. So, what are the novelties for 2019 Lincoln MKC? First of all, we must say that this is a classic facelift, which comes in the middle of the production cycle. So, it seems pretty natural that pretty much all changes are visual nature. A big majority of these changes is, of course, at the front. 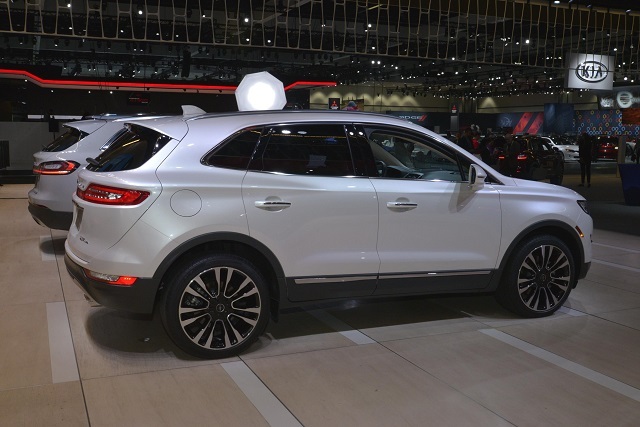 The 2019 Lincoln MKC is the second crossover to adopt the brand’s new design language, which was presented for the first time on the new Navigator. This small crossover will come with similar novelties. Most of them are at the front, where you can see a completely new grille, LED headlights, front fascia and much more. Rest of the vehicle remains more or less the same, although some minor tweaks are present in pretty much all areas of the crossover. On the inside, things have remained pretty much the same when it comes to styling. 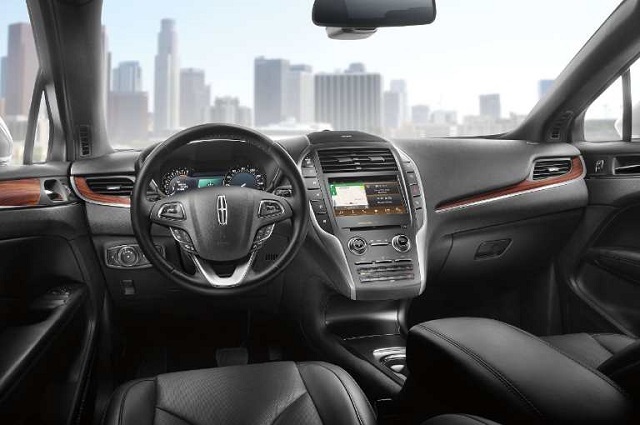 As we’ve already mentioned, things remain pretty much unchanged when it comes to the look of the cabin. Still, there are some smaller changes when it comes to standard equipment. First of all, there is a new pedestrian detection system, which becomes a part of the optional safety package. Speaking of the base trim organization, it remains the same. There are four trim levels in the offer. Those are Premiere, Select, Reserve, and Black Label. Each of them should come with few standard features. Even base model will come with things like rear parking sensors, a rearview camera, keyless ignition and entry, remote start, dual-zone automatic climate control, leather upholstery etc. On the other side, higher trims will include much more. Finally, there are several optional packages, as well as numerous standalone optional features. Despite all these visual changes, things under the hood have remained the same. 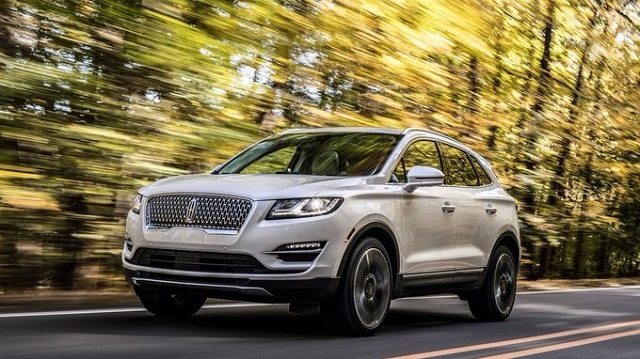 The 2019 Lincoln MKC will continue with the same two inline-four engines. The base model comes with an efficient 2.0-liter engine which delivers around 240 horsepower and 270 pound-feet of torque. It comes in a pair with a six-speed automatic transmission, which sends power to front wheels. On the other side, optional versions include all-wheel drive, as well as a more potent 2.3-liter engine. This unit is good for about 285 horsepower and 305 horsepower, which sounds pretty amazing. With such amount of power, this small crossover need just 6.5 seconds to reach 60 miles per hour, while a top speed goes around 130 miles per hour. On the other side, fuel economy goes around 22 miles per gallon in a combined drive. The updated 2019 Lincoln MKC probably won’t feature bigger changes in terms of price. So, base versions should go around 34.000 dollars. When it comes to the competition, main rivals should be models like Land Rover Discovery Sport, Buick Envision, Infiniti QX50 etc.